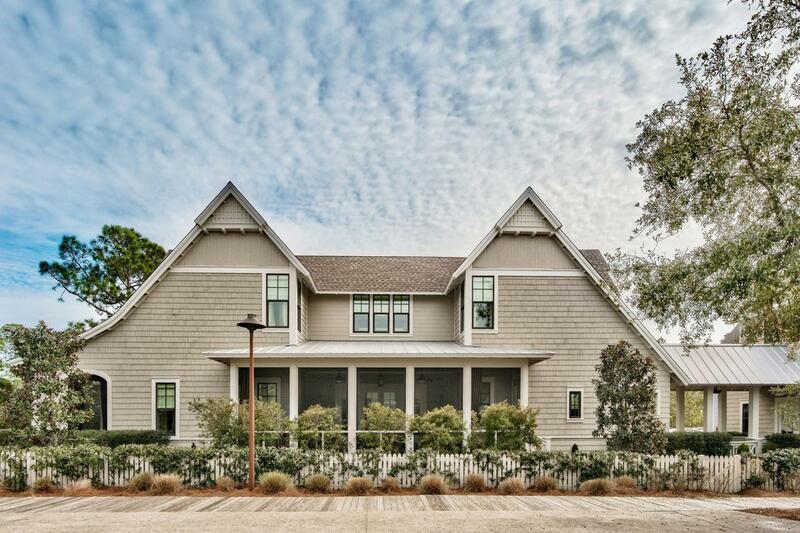 This gorgeous, one of a kind home, offers the most stunning exterior elevation and interior finishes in Watersound West Beach. 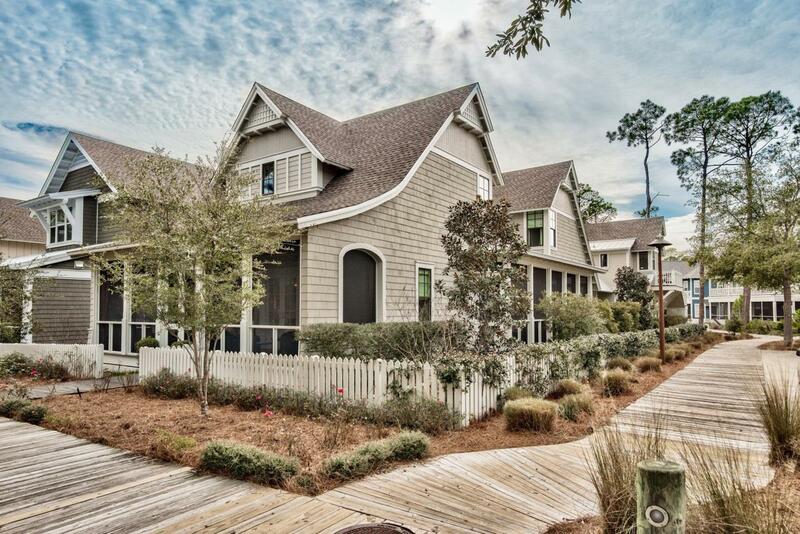 In this private gated community you will enjoy access to 30A's premier secluded beaches through Deer Lake State Park. The front entrance to the home is just off the boardwalk to the beach & community pool and fronts a large park with trees for privacy. 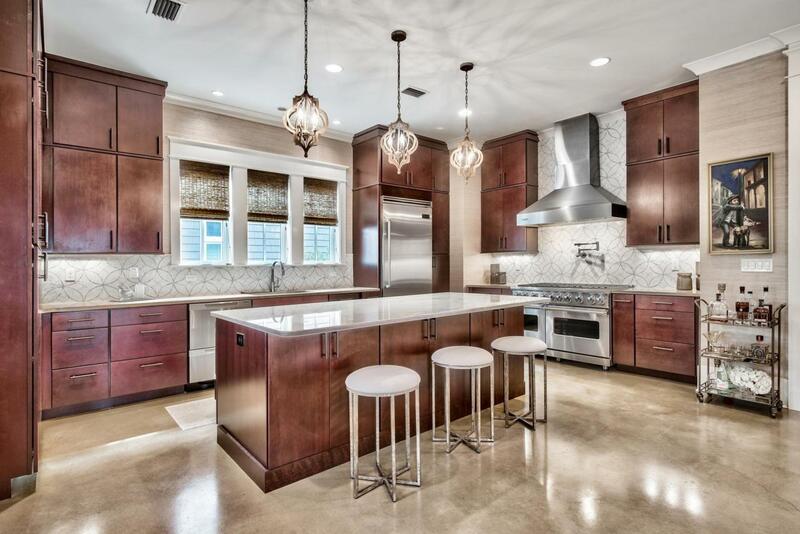 A spacious screened porch leads through french doors to the beautiful great room that is open to the chef's kitchen featuring a commercial sized Viking range, large marble island, and designer Walker Zanger tiles. Entertaining is a dream as the great room flows into the dining hall which features a wine bar with onyx countertops and french doors to yet another spacious screened porch.There is plenty of space for overnight guests as well, as the home boasts a total of five bedrooms, 4 full baths, and a glamorous powder room. The main floor master suite features an ensuite bath with marble encased garden tub, walk-in shower with designer tiles, large linen closet, and two custom "his and hers" walk-in closets. The "hers" closet is very spacious and features an island, custom shelving, and double tier hanging space. This space can easily be converted to additional living area as it has several windows for natural light. On the second level there are three additional bedrooms including a second master suite with ensuite bath, large walk-in closet, and sitting room with TV. 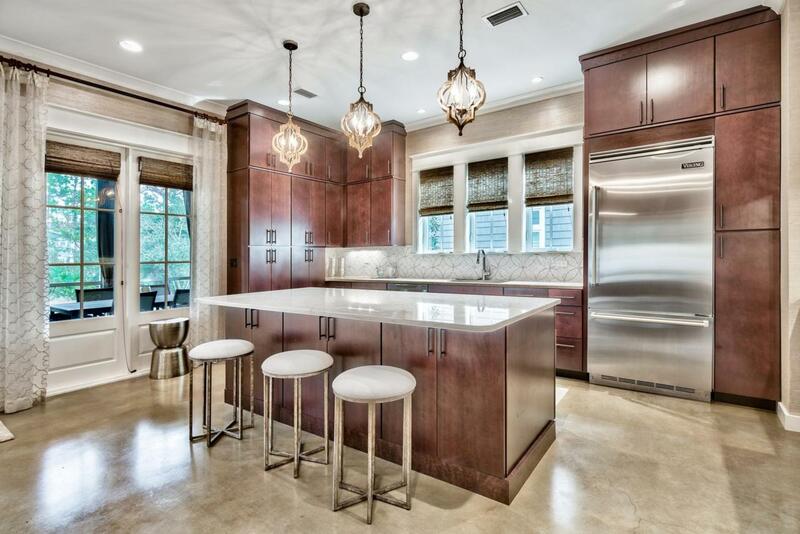 A beautiful gathering spot with built-ins, desk area, and sitting area complete the second level. Back on the main level, there is a gorgeous foyer that leads out to the 2-car garage, parking area, and carriage house. The spacious carriage house is perfect for a "man cave", ladies retreat, art studio, or guest cottage as it features a full bath, kitchen area, and plenty of closet space. This beautiful home is perfectly situated on one of the best lots in the neighborhood and is just steps to the community pool and beach boardwalk. The exterior elevation of the home is just stunning and features an English garden and is beautifully landscaped. Watersound West Beach features a community pool/clubhouse, parks, boardwalks, security/gate, private boardwalk to the beach, and fitness center at Watersound Beach.